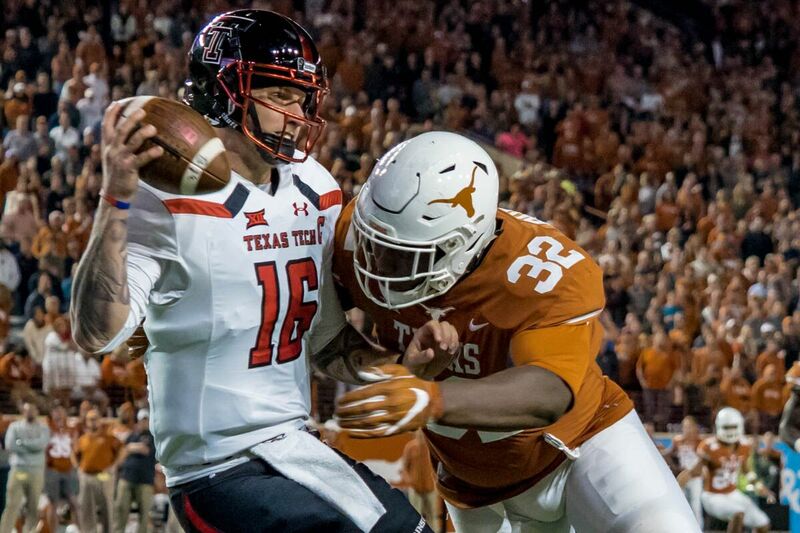 Shortly after Texas came up short against the West Virginia Mountaineers, the team that we all thought was going to provide the real problem for Texas played in primetime against the Sooners. Texas Tech gave Oklahoma their best shot, picking off Kyler Murray twice to start the game and managing to get 46 points on the board only to come up short in a 51-46 defeat. 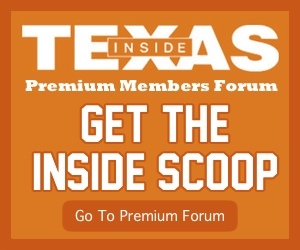 It was a game effort that should concern Texas, but it also came at a great cost as Tech lost quarterback Alan Bowman when his lung collapsed (again) after taking a shot from an OU LB trying to cross the goal line. Tech also lost their defensive QB Dakota Allen, arguably the best inside linebacker in the conference, when he added a knee injury of some kind to a broken hand on the injury report. It’s pretty dubious that the Longhorns will see either of them in the upcoming game. Nevertheless the Raiders have a few things going for them coming into this game. First there’s the effect of playing a primetime game in Lubbock, which is usually worth a little more than an average home field advantage. 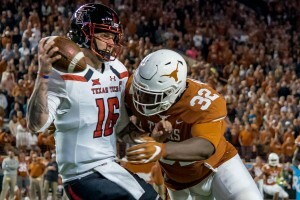 Then there’s the exhaustion factor, as worn down as Tech is the Longhorns have also been worn down by getting picked apart by the OSU Cowboys and West Virginia Mountaineers the last two weeks while sustaining injuries of their own. Finally there’s Kliff Kingsbury preparing to probe and attack a Texas defense that’s shown a lot of weak spots on film against similar opponents. With defenses around the league taking on water in the form of injuries and film while offenses are often revving up as their QBs settle into a groove of diagnosing typical defensive calls and utilizing earned rapport with their teammates in the passing game, this is the kind of game you often need to plan on winning via shootout.